We will be having a special Memorial Day sale this Friday-Monday. 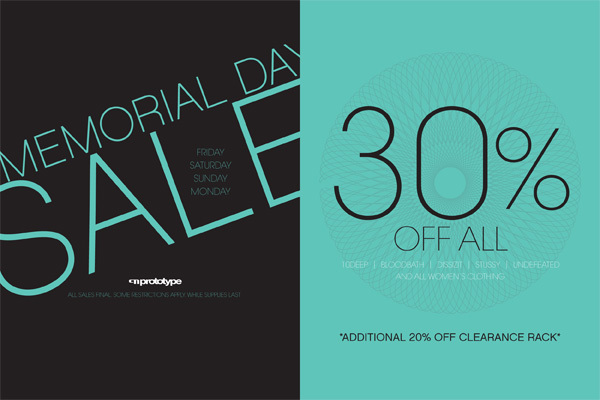 10Deep, Bloodbath, Dissizit, Stussy, Undefeated and ALL women's clothing will be 30% off. We will also be giving an additional 20% off the lowest marked price in our clearance section.